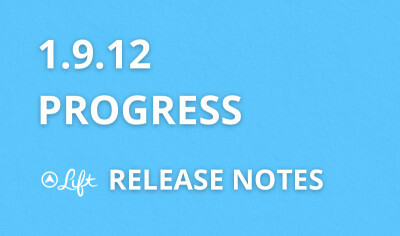 This release adds progress to the check-in screens. Now it’s easier to see how many times per week you’ve been following your goals. Read on for some background on progress. 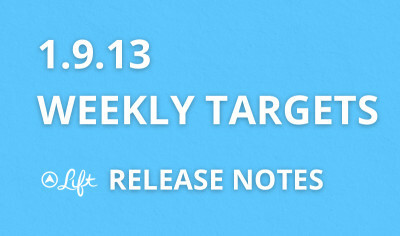 This release lets you set weekly targets for each of your goals. You can then see your progress toward each of your weekly goals at-a-glance from your dashboard. This feature tested very well with .. 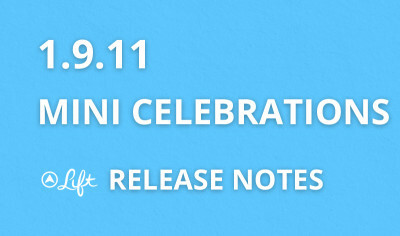 This release adds mini celebrations, landscape mode for playing videos and a revamped goal settings so that it’s easier to set reminders, privacy (and perhaps, in the future, other cool featur.. This release adds a collection of guided meditations and adds an embedded YouTube player so that practicing these guides is more fun. Read on for everything we know about meditation. This release includes a reorganization of our goal categories along with a handful of usability tweaks (especially to our add note feature and to our step instructions) and bug fixes (includin.. 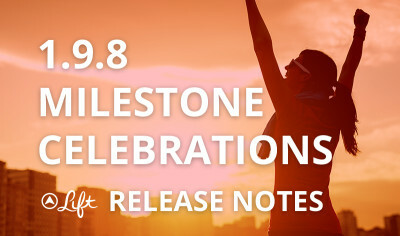 This release redesigns our milestone celebration and fixes a handful of usability bugs, including accidentally archiving goals. Read on for some background and other news from the Lift commun.. 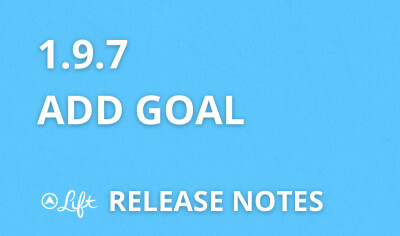 This release brings back the ability to create a new custom goal that doesn’t already exist on Lift. Read on for our philosophy about adding your own goals to the Lift system. 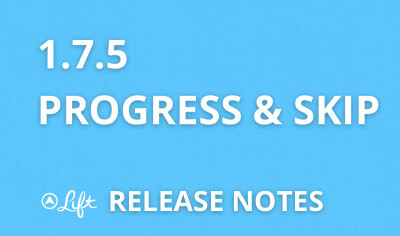 This release adds progress indicators and a “skip-this-step” action for coaching plans. You can find the progress indicator on your dashboard and the skip option in the top right of the check-.. 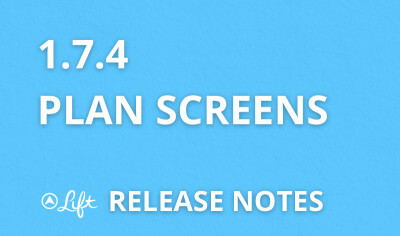 This release adds full plan screens to our habit directory, so that you can review the the steps of the plan before you start. To find them, go to our Add Habit flow. This is the plus button .. 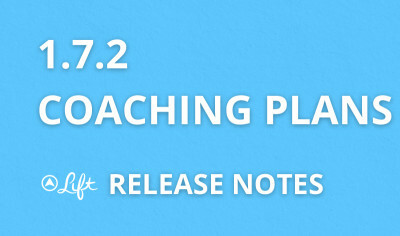 This release includes a simple coaching feature with an initial set of ten coaching plans. We’re also opening up this feature to other coaches or Lift users who want to share their expertise ..